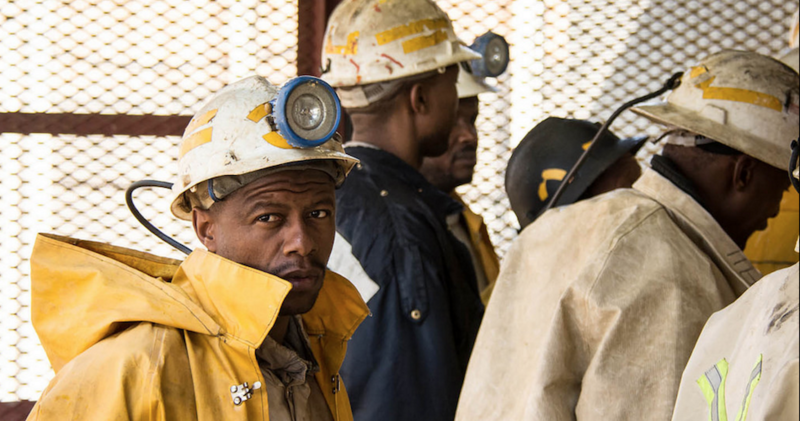 (Bloomberg) — South Africa’s National Union of Mine workers, the biggest labor group at gold mining companies in the country, said it’s deadlocked over pay with the producers after numerous rounds of negotiations. "We have reached a stage whereby we understand that the employers are not prepared to give a better offer to the employees"
The dispute will be referred to the Commission for Conciliation, Mediation and Arbitration and sets the path toward a legal, protected strike, the NUM said in an emailed statement Tuesday. The union has had seven meetings since pay talks started last month with gold producers, including Sibanye Gold Ltd. and AngloGold Ashanti Ltd., said NUM General Secretary David Sipunzi. “We have reached a stage whereby we understand that the employers are not prepared to give a better offer to the employees,” he said. South Africa’s gold mines are the world’s deepest and among the most labor intensive, leaving producers struggling to reduce costs. The companies involved in the collective bargaining directly employ about 80,000 workers, according to Minerals Council South Africa, a lobby group for the producers. The NUM is demanding 9,450 rand ($657) a month for surface workers, 10,450 rand for underground workers and a 14.5 percent increase for miners, artisans and officials. Motsamai Motlhamme, the chief negotiator for the gold producers, told the labor groups that their demands were “unaffordable,” according to the council.